Hi! My name is Shiloh. 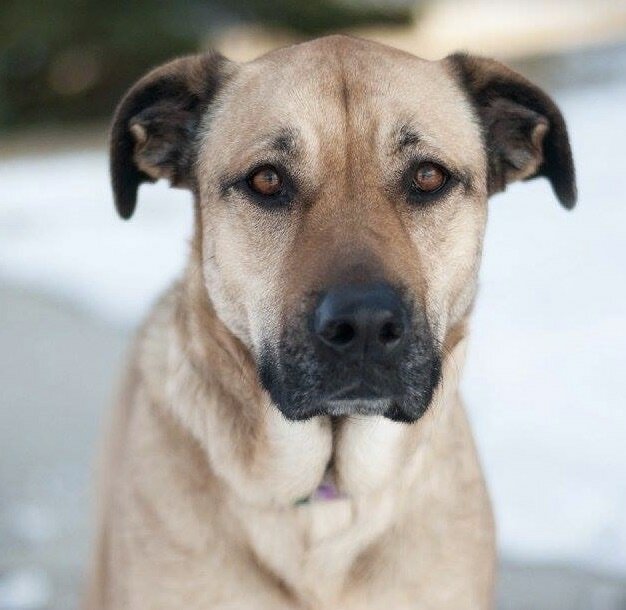 I'm a 70 lb., 2 year old female Shepherd mix. I'm not sure what I'm mixed with; all I know is that my foster mom calls me a mixed blessing. She says I steal the hearts of everyone I meet because I'm so affectionate and sweet. Here’s some more good stuff about me . . . I’m crate trained, housetrained, heartworm negative, spayed and up to date on all my vaccinations. I’m also super smart and easy to train. Because I’m a little older, I’m done with all those puppy shenanigans. While most of the time I’m prim and proper, I do still have a silly and playful side. I love people and enjoy meeting new people. I get along fine with other dogs and cats, but I really prefer to hang out with people. People are way more fun! I enjoy chilling at home, either just hanging out, cuddling while watching TV or looking out the window. But when it's time to go on an adventure and the leash comes out, OH BOY, I'm ready to go!! My foster mom says I'm pretty good on leash when I wear my Freedom harness and that I ride really well in the car. Whether it's running, going to the park or hitting the trail, I love to go on adventures! I can’t wait to find my forever home! If you think we would be a great match for each other, please go to the top toolbar, click Adopt, click Dog Application, fill it out and email it back to SDR. A volunteer will get back to you as soon as they can!